Starts at Home encourages parents with children under seven years of age. You’ve heard it said it “starts at home”. Children don’t come with instruction manuals. Starts at Home are people who love parents and children, who are devoted to helping children achieve the best in whatever God given talents they have. Parents are empowered to teach good attitudes and skills like faith, sharing, obedience, honoring parents, reading, math, memory, budgeting, and other practical life skills. We want our children to be the best they can be, giving them the freedom to choose their path in life. We believe that parents whether married, single, or custodial, can teach children and protect them against the temptations they will face in the world like, unhealthy eating, sexual permissiveness, illegal drugs, internet safety, selfish pride, and excessive materialism. We have a lot of work when it comes to loving the children and encouraging parents. There’s a lot of traumatized children out there.. Charles Manson, a life-sentenced murderer, is an example; he grew up without the love of nurturing parents and eventually release his ugly anger. When Charles Manson was born his mother did not give him a name, later, his mother sold him for a pitcher of beer. In the United States, according to the Bureau of Justice Statistics, “the homicide 1) rate doubled from the early 1960s to the late 1970s, increasing from 4.6 per 100,000 U.S. residents in 1962 to, 2) 9.7 per 100,000 by 1979, 3) in 1980 the rate peaked at 10.2 per 100,000, and 4) subsequently fell to 7.9 per 100,000 in 1984. 5) The rate rose again in the late 1980’s and early 1990’s to another peak in 1991 of 9.8 per 100,000. 5) The homicide rate declined sharply from 9.3 homicides per 100,000, 6) in 1992 to 4.8 homicides per 100,000 in 2010″. The poverty of no love and rejection can lead to many forms of mental illness. With hope, faith, and love, we come to serve. We are a group of individuals, businesses, organization working together to help families because children are not born with instructions. For more information on this group see the Organization in this website. We would be pleased to have you be part of Starts at Home, call us at (808) 937-4392, or email us at startsathome@hotmail.com. Have a wonderful and joy filled day! I am going to begin with a lesson I learned when I was about ten years old, the lesson was revealed by a German Shepherd puppy and a cooler. It began when my friends family got a small puppy, one that they did not want running throughout the house when they were not there to supervise it. The solution that they came up with was to simply use a large cooler (the type you take to the beach to keep your drinks cold) as a barricade in the hallway thereby keeping him confined to a small area at the back of the house. This made perfect sense, especially since the puppy was still too small to get past the barricade but as the puppy grew we all knew that eventually it would be able to simply jump if not step over the cooler. But amazingly even when the dog was full grown he would not venture past the cooler without permission. He had been taught from a young age that when the cooler was in place it marked the limit to where he could journey and since he had always saw the cooler as a barrier not to be crossed, he never did. Now before you get the impression that I am against kids having access to the Internet let me talk about my eight year old grandson and his access to technology. As young as 6 months old he was sitting on my lap as we navigated to kids sites where we watched videos and played games and learned words. We also went into graphics programs where I showed him what to do to create images and by the age of two he could not only create his own images but he could print them out as well. He could also go on-line and go to the kid sites that we had been visiting for almost two years. He did this by going to bookmarks that I had created for him. He did not know that there were such things as search engines (cooler I placed). Just before he turned three we had set up an old computer just for him to use with all the bookmarks he was used to, we even placed short cuts to his favorite sites onto the desktop (another cooler placed to keep him from going to places he should not go to). All this time he still was under the impression that you got to sites by using bookmarks. At around age four his first computer was growing old and slow and I had just purchased a new laptop so we gave him my old laptop and again set bookmarks and links of the desktop and the graphics program that he had used since he was a year old. We also started going to more and more sites and bookmarking them. It should come as no surprise that by age five he was reading and could get around the computer quite well. He is now eight and actually spends more time on the ipad than on his computer. He searches YouTube all the time to find videos showing him how to do things in his games. The one barrier we set with the videos was if the people talking started using inappropriate words he was to stop the video. Over time he has come to recognize the accounts that have the best information on games and no i inappropriate words so he first clicks on their videos when he is looking for something. He went through a phase where he liked playing Farmville and a few other games on facebook (thanks to seeing his mom and grandma playing them) so instead of telling him that he could not play them, I set up his computer so it would bring up my facebook account and he could play there (cooler). His computer rarely is in his room (that’s one reason we got a laptop, so it was not stuck in one location forcing us to be where it was) and we keep the power cord out in the front room. I would say that 90% of the time that he is on-line we can see him. And after years of setting coolers in place we do not worry about him when he is on-line. I hope the story about the German Shepherd and the cooler and then about my grandson have given you some ideas on setting boundaries early and getting kids on-line even before they can read, since being digitally savvy will give your children or grandchildren a head start on a bright future. The most important thing for kids growing up today is the love of embracing change. The need to memorize something is a 20th century skill. We can find answers in mere seconds on-line to most any question. The ability to figure out how to trust the information that you find is the new skill that kids will need and if they are competent at doing that then the world is their. Stop being fearful. This is the digital world our kids live in and we as adults need to accept that. Now let’s look at some cold hard facts about the Internet and old children and then a list of sites that should be bookmarked for kids to visit. 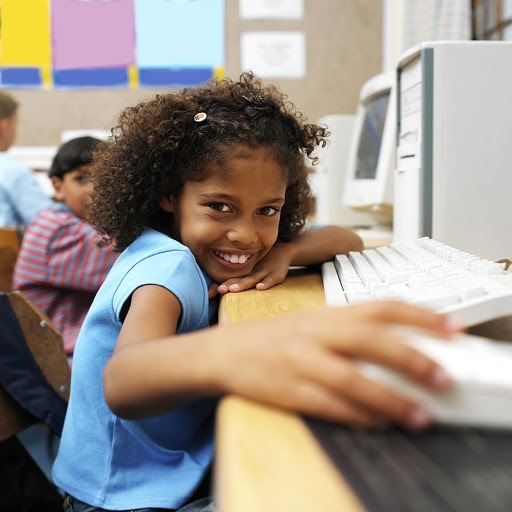 48 percent of students K-1st grade level interact with people on Web sites, while 50 percent indicate that their parents watch them when they use a computer, leaving the other half of those youngsters more prone to being exposed to predation behaviors or other threats posed by online strangers or even persons they know or regard as friends. American teens are more wired now than ever before. According to a recent survey, 93 percent of all Americans between 12 and 17 years old use the internet. 20 percent of teens have engaged in cyberbullying behaviors, including posting mean or hurtful information or embarrassing pictures, spreading rumors, publicizing private communications, sending anonymous e-mails or cyberpranking someone. Frequently children in 4th-6th grade levels engage in social networking activities. In the process they post personal, potentially exploitable, information about themselves online. Specifically,16% posted personal interests online, 15% and 20% gave out their real name. In addition, 5% posted information about their school, 6% posted their home address and 6% posted their phone number. A majority of teens (58 percent) don’t think posting photos or other personal info on social networking sites is unsafe. 41 percent of teens report their parents talk to them “a lot” about Internet safety and three out of four say their parents have talked to them in the past year about the potential dangers of posting personal info. The level of parental involvement is higher for younger teens and girls. Molly Moccasins is a new kind of story-driven entertainment for children. This first-of-its–kind book series and interactive website are calling all young adventurers to read, play, think, imagine and investigate. It’s for kids of all ages and supports early learning and literacy development. A social site that is filled with games for kids to play. There’s lots to do at Bananaboo! 4 to 8 year olds will enjoy Bananaboo’s big selection of puzzles, stories, craft ideas, jokes, coloring pages, cut-outs, cartoons, and more. Join ice cream makers Ben & Jerry for fun online games, printable activities, desktop wallpaper, and other fun activities. The Berenstain Bears offer a great selection dress-up games, trivia, mazes, interactive stories, coloring book fun and more. Use a simple programming language to create blocks and move them around. Take a look at the Quickstart Guide and experiment with the commands until you get the hang of it, then create a scene as simple or complex as you like! Designed especially for kids, this excellent guide to the game of chess offers interactive online lessons and quizzes, chess movies, and a challenging online chess game. Created by Richard James, who has been teaching chess to kids for over 30 years. Enjoy plenty of pictures to print and color, arts & crafts, stories, send someone an E-card, or take an inside look at the Crayola factory. Includes sections for parent and educators. Enter the highly interactive world of Dr. Seuss, for games, books, activities, videos, and much more. Includes a section for educators, with pintables and lesson plans. At Funology, science is all about having fun! But that’s not all. Besides fun facts and experiments you can perform, you’ll also find crafts, recipes, magic tricks, jokes, and a whole lot more. Here’s a great assortment of games you can play at home or school. The entire collection includes instructions for over 100 classic games like Piggie Wants a Signal, Sardines, and Duck Duck Goose. It’s good old-fashioned fun, that never goes out of style. You’ll find lots of great ideas for quality art and craft projects at KinderArt. Be sure to check out the sections for younger children, and seasonal crafts too! Teach children about plants, nature and the outdoors with these gardening tips, ideas and activities. Get ready to have a wild and fun time at National Geographic Kids! This site offers visitors a wide variety of games, activities, articles on animals, pets, countries, and more. Looking for a pet? NeoPets lets you create one, then make it your own by naming it, deciding if you want it to be a boy or girl, among other options. To get started, read the tutorial to learn how to feed your pet, play games, and more. Features fun puzzles and games for kids of all ages. You’ll find printable and online crossword puzzle, word search, and brain teaser games, along with free teacher resources, and much more. Like stickers? Then head over to Sticker World, where you can display your collection of eStickers on your very own web page. After signing up, you’re given a web page, starter stickers, and sticker points which you can use to get more stickers for your page. From Children’s Television Workshop. Blast off to Tiny Planets and discover what fun you’ll have while playing and learning with Bing and Bong. Preschoolers will enjoy visiting this site, where they’ll find games, puzzles, coloring, educational activities, and much more. Become more computer literate and develop Internet savvy. Place your computer in an area of your home where you can easily monitor your child’s Internet activity. Talk with your kids about their online friends and activities. Do not let your kids in chat rooms. Establish online rules and an agreement with your child about Internet use while at home or away from home. Watch for changes in your child’s behavior (mention of adults you don’t know, secretiveness, inappropriate sexual knowledge, sleeping problems, etc.). Enough Is Enough, a national non-profit organization whose mission is to make the Internet safer for children and families. For more information, please visitwww.enough.org or www.protectkids.com. About the Author: Larry Czerwonka has been helping companies, the government, and individuals find better ways to use the internet since 1995. He was involved in putting the 1st complete Environmental Impact Statement on-line and won several awards for the information exchange he made possible between the government and the public. For the past 10 years he has been involved with creating new and more engaging ways for Fortune 500 companies to interact with their customers. 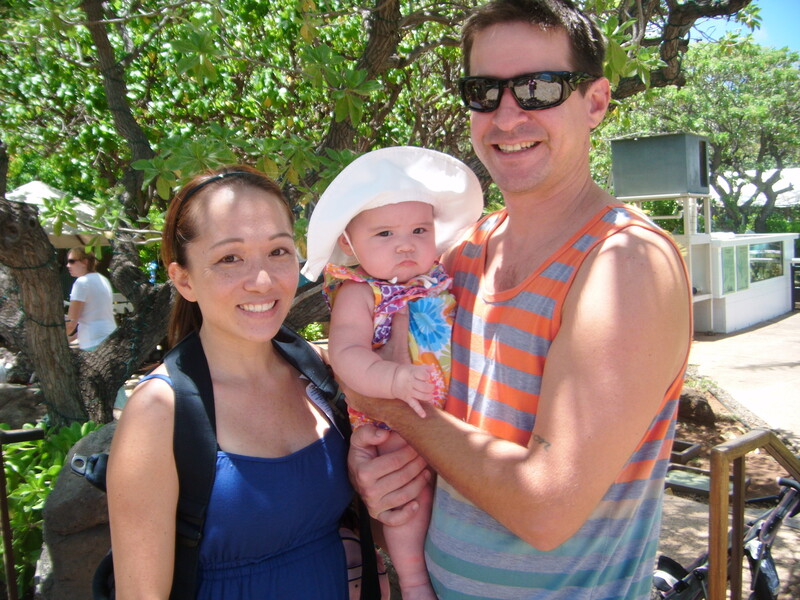 Larry currently lives in Hawaii and works as the CTO for Screenspaces. Larry Czerwonka was our guest speaker at our monthly pot-luck parenting dinner and class. Starts at Home parenting dinners are open to the public and everyone is welcome. The gathering starts at 5:30 pm with dinner and program class at 6:00 pm. Information on up-coming pot-luck dinners are posted on the Class menu of this website. We hope to see you soon. Aloha and A Hui Hou. Bernie Pavao from the University of Hawaii – Hawaii Community College – Children’s Center will be sharing with parents how to read to young children. She will demonstrate how to make reading exciting allowing books to come alive and be interesting to children. Bernie will be reading a story to children who attend. Parents with children under five (5) years of age can greatly benefit by this class and are encouraged to attend. Studies by Florida State University and published in the American Phycological Association have shown how early reading has given children a head start in learning and education making a difference in later years and life. Sitter: Amy Okuyama (librarian) will help the children. If you would like to help sit, your assistance would be much appreciated. 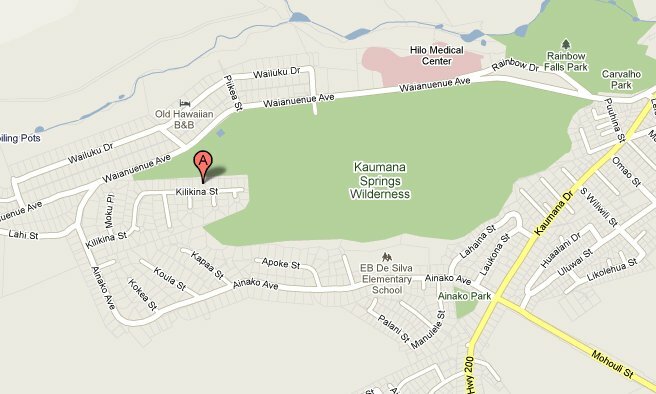 Place: Carl and Amy’s Place, 1346 Kilikina Street, Hilo, located above Hilo Medical Center (take second left street passed Hilo Medical center – Lahi Street; then take first right – Kilikina Street; then to 1346 Kilikina; left side); two-story grey colored house. RSVP: startsathome@hotmail.com, (808) 937-4392, or just come, all welcomed. Result - Train a child to read early in life. Studies prove that the earlier a child learns to read, the better they perform in school and later in life. Early readers have more self-esteem and are more likely to stay in school. Meanwhile, a national panel of reading specialists and educators determined that most of the nation’s reading problems could be eliminated if children began reading earlier. Maybe the correct question is…Why should a parent delay teaching a child to read when the most natural time to learn language is during the infant and toddler years?